On September 17, 1976, the National Aeronautics and Space Administration (NASA) unveiled its first space shuttle, Enterprise, at a ceremony in Palmdale, California. The Enterprise was NASA's space shuttle prototype. 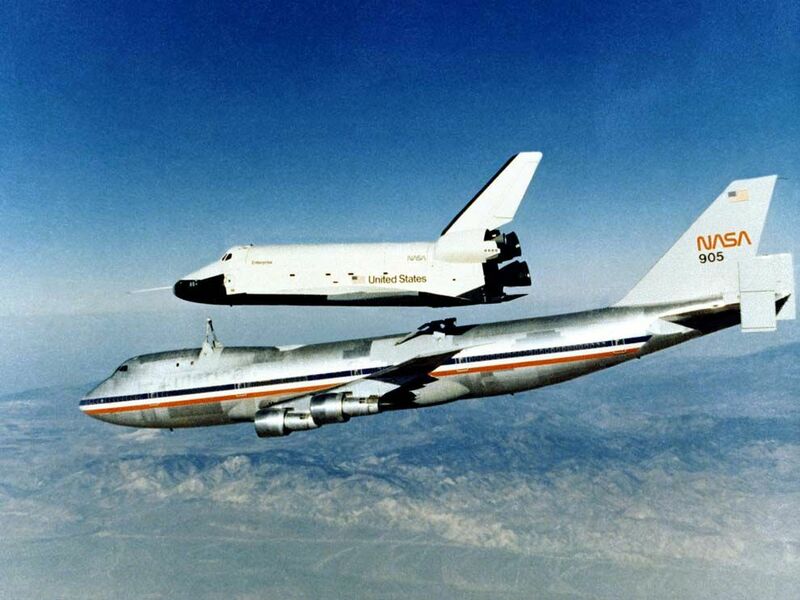 Although it never left orbit, Enterprise was the first re-usable "space plane." On September 17, 1976, the National Aeronautics and Space Administration (NASA) unveiled its first space shuttle, Enterprise, at a ceremony in Palmdale, California. Scientists and engineers had been developing a re-usable “space plane” design for more than a decade. The shuttle combined features of rockets, traditional spacecraft, and aircraft. Due to changes in the shuttle’s structural design, Enterprise (named after the fictional Star Trek starship) never exited the Earth’s atmosphere. After Enterprise’s successful atmospheric tests, NASA built five more space shuttles that went on to fly all the way into space: Columbia, Challenger, Discovery, Atlantis, and Endeavour. The Space Shuttle Program ended in 2011.